Shortly after their 3rd birthday your child will have the opportunity, and some free funding, to join a Pre-school. Like Pre-school, the school environment will have daily routines, rules and expectations and group and individual work. However, the school environment is likely to have less adults to support each individual child. That’s why it’s so important for Pre-school children to master skills such as concentrating, turn taking, sharing and working as a group. In order to be ready for school, children must develop their confidence and independence. We promote and support this in every aspect of our Pre-school environment. Toileting independently, washing hands correctly, putting on and taking off coats and shoes will become an expectation in a school environment. We support and encourage our Pre-school children in developing these vital skills every day they are with us. Every Pre-school child has their own drawer, much like they will in school. By having a place for their own possessions, children learn the social skills of taking responsibility for their property and respecting other people’s. Playing with others is fun but it can also be hard work. When conflict arises, however trivial, our Practitioners support the children in developing the social skills they need to find a solution amongst themselves. Our Pre-school routine, environment and Practitioner approach is a careful balance of Free Play, Adult Led Group Work and Daily Routine. All the varying theories of how children learn agree on one thing: children learn best when they are interested in what they are doing. This is the basis of “free play”. We provide a well-planned space, with a variety of resources, that allows children to explore what interests them. Our Practitioners support children's learning as they play. Instead of giving them an answer to a question, we support them in finding it themselves and our experienced staff use every opportunity to extend the children’s learning. The fun and messy task of making mud pies becomes an engaging conversation about the origins of mud, which leads to another conversation about how water gets in the sky and before you know it, we're learning all about weather. This kind of support and guidance allows our children to not only develop their social, communication and physical skills, but challenges them in their reading, understandings of the world, number questions and creative skills. As wonderful as free play is, it is also important that children learn how to interact in a group so when they move on to school, they are able to participate effectively. Every day the children will all take part in a group activity. Some will be based on our educational programmes and others will be drawn from children's interests, such as looking at the ladybird they found outside earlier that day. The most important part of any group time is that the children are participating effectively. This includes taking turns, listening to each other and following adult instructions. These are all key skills that they will need in order to be ready for school. There are endless programmes available to support your child in all the areas of their learning. However, it is important not to overload children with too much formal learning, too young. ABC uses thorough research and years of experience to find this balance. During Free Play, our Pre-school children are learning reading, writing and number skills all the time. Drawing lines in the sandpits becomes a mark making exercise that develops their writing skills. 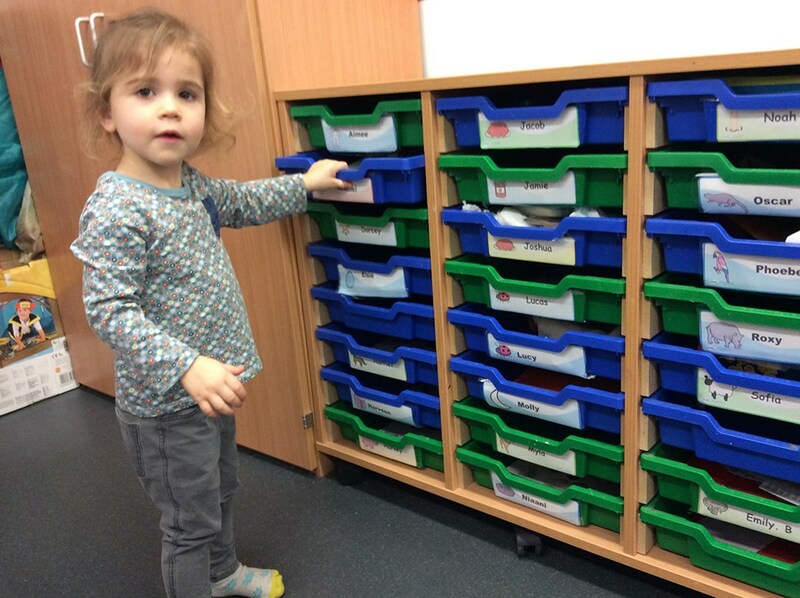 Identifying their friend’s name on a drawer helps to support their reading and counting to 20 in a game of hide and seek is developing their number skills without them ever realising. Our Practitioners are always nearby to maximise every learning opportunity. Learning to read begins with phonics. Phonics is where children learn the sounds that a letter, or a group of letters make. We follow the government’s own phonics programme Letters and Sounds­ ; and because most schools use this programme, it allows for an easier transition for our children. Children will regularly take part in activities, conversations and games that promote these skills. Phase Two is normally taught in Reception, but, if and when we are confident that a child is ready to begin Phase Two, we will introduce it alongside their Phase One activities. In Phase Two children begin to learn letter sounds in a specific order, practice blending sounds together to read, and identify sounds in a word, to spell. They learn other key skills like recognising words that don’t follow the rules of Phonics and how to read ‘silly’ or ‘nonsense’ words. All of our practitioners are fully trained in the correct pronunciation (and action) for each letter sound, so as children begin to discuss sounds in their Free Play or Group Time, the correct pronunciation and action is modelled. If you would like to know the correct pronunciation please feel free to watch the video below. For more activities and games to play at home please use the Letters and Sounds website . Alongside Letters and Sounds, we have reading books that support the learning taking place in Phase One. Rather than reading the words, these books encourage children and their families to look at the pictures together, identify the sounds that may be happening and to discover new ones. It’s also an opportunity to develop key reading skills such as holding a book the right way and turning the pages one at a time. Research shows that children will develop confident writing skills when key muscles and movements are supported from an early age. There are many dance based programmes that support the development of children’s muscles. Our Early Years Support Team have created the writing programme Wriggle-Write . This bespoke programme is designed to support children’s fine (fingers and wrists) and gross (arms and shoulders) motor movements. Our Pre-school children always look forward to Wriggle Write sessions where they can dance whilst squishing, pulling and poking playdough and wave ribboned “wiggle wands” side to side and up and down. Our children also have the opportunity to dance with mark makers, such as crayons and chalk to illustrate their dance movements on a big piece of paper on the wall. All of these actions are refined as the programme progresses and as the children gain more control over their muscles and movements. All of our Pre-school Practitioners are trained in the Wriggle Write programme. They understand how to encourage writing and mark making and help our children use the correct letter and number formations. Counting, quantities and numbers can be tricky to learn. To help our children with their number skills, we have invested in ‘Numicon’. It is a multi-sensory approach to teaching maths, developed by experts in the classroom. Numicon are a set of shapes from 1 to 10 that provide a consistent representation of number for children to work and play with. During ‘Free play’ the children can use the shapes anywhere in the environment like in the sandpits, whilst they paint or in their water play. This free and easy access to the Numicon shapes readily invites conversations around number into the children’s play. We also use the shapes and accessories for adult led group activities. Practitioners will use the shapes to support the children’s learning in number skills such as counting.